from greek herbalists to native americans, spearmint has been widely valued for its restoring powers and stimulating scent and taste. 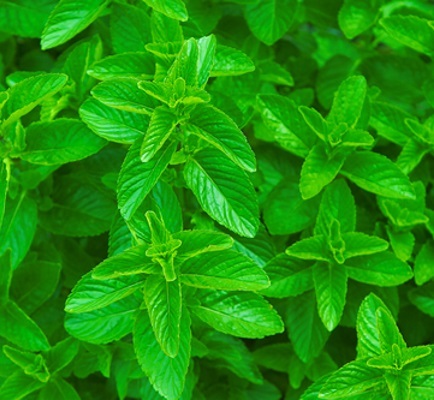 unlike peppermint oil, spearmint contains minimal amounts of menthol so it retains a pungent scent without any medicinal hints. benefit: a refreshing relief to sore muscles and tired feet, it delivers a cooling effect to the whole body, tingling the senses. it stimulates the nerves and blood circulation, keeps the metabolism active and functioning properly and boosts the immune system. purifying to the pores, it cleanses deep and tames inflammation, shrinking the pores and softening the skin overall.